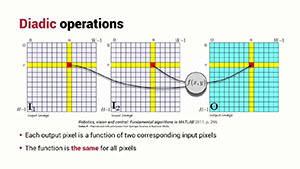 Diadic operations involve two images of the same size and result in another image. 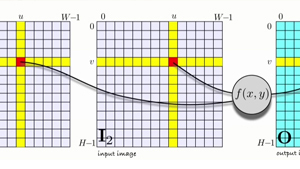 For example adding, subtracting or masking images. 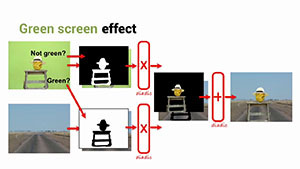 As a realistic application we look at green screening to superimpose an object into an arbitrary image. 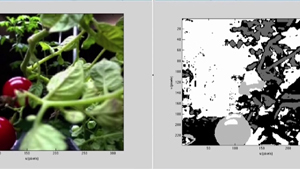 Once a digital image exists as a matrix in the MATLAB workspace we can manipulate it to extract information that a robot could use. 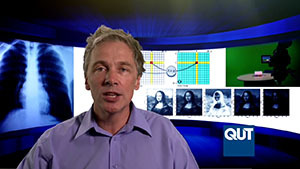 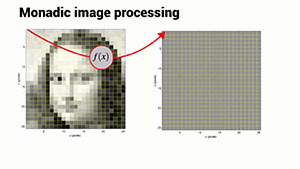 We will discuss some fundamental algorithms that operate on single images. 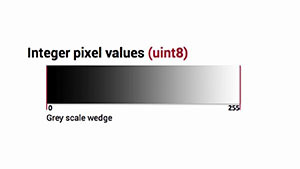 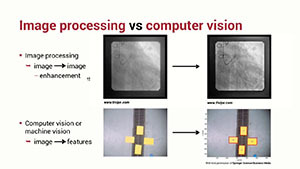 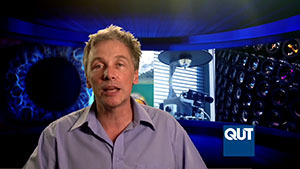 We will compare and contrast the terms image processing, computer vision and robotic vision — they have much in common but there are some subtle but important distinctions. 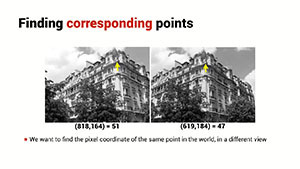 When it comes to interpreting an image we typically try to find and describe regions, lines and interest points.